I was not blessed with beautiful nails. Mine are always short, flaking, and breaking on me. When I started taking prenatal vitamins, they got slightly better. They will grow longer, but it is always only a matter of time before one or more of them breaks. The way I get them to stay (somewhat) nice is by painting them...but then the polish chips within a day or two. After putting my little one down for the night, I sat down with a glass of wine, The Bachelorette, and my Jamberry wraps and supplies. The application was super easy. 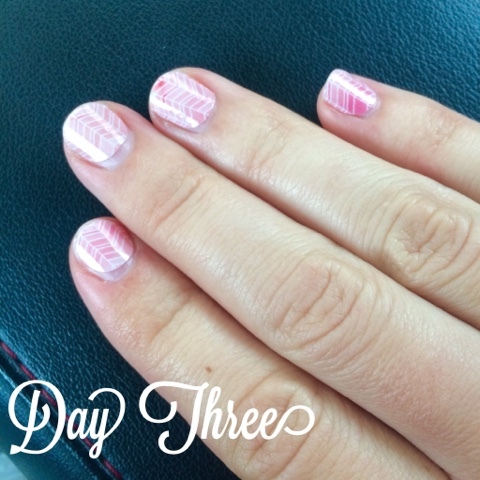 All you really need is a nail file, hairdryer (you use the hairdryer to apply heat to each nail wrap when you are applying them), and your wraps. The whole process only took me about 20 minutes, which is how long it takes me to do a regular manicure, minus the drying time. I love that you don't have to wait for your Jamicure to dry, and when I was done, they looked great! 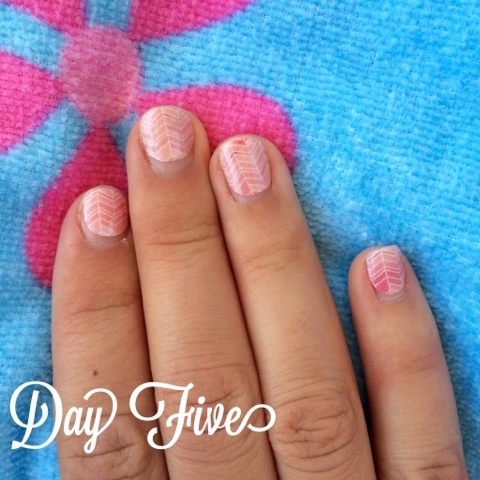 Day 3: My jamicure is slightly worn at the tips of my nails, but its not very noticeable. I have gotten several compliments on how cute my nails are! Day 5: Still looking pretty good! My nails have grown quite a bit and you can see the growth at the nail bed, but all in all my jamicure looks pretty good still! Day 7: This was the end of the line for my Jamicure. One of my wraps was coming off, so I decided to take them off. I did have extra wraps left that I could have used to replace the one that came off, but my nails grew a ton (! ), so I wanted to start fresh. 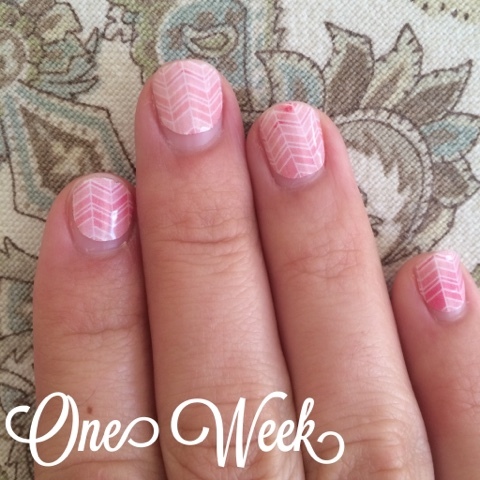 When I removed the wraps, I was happy to see they didn't damage my nails and my nails grew more than usual in a week! I have to say I am very pleased with my Jamicure. I will definitely do another one again soon! 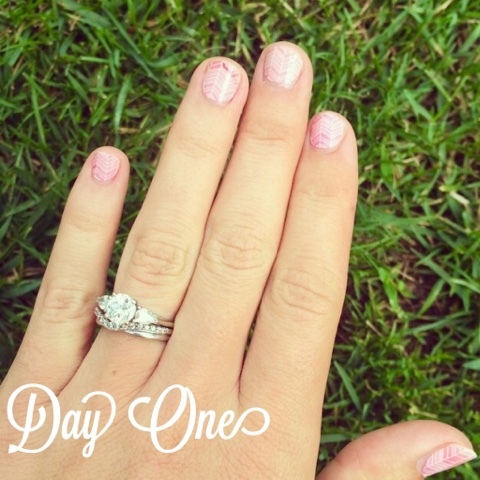 If you are interested in Jamberry, check out Heather's site here!